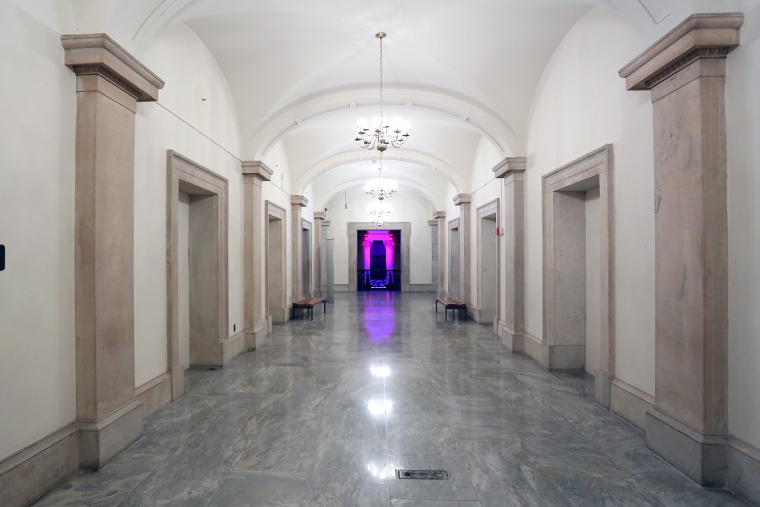 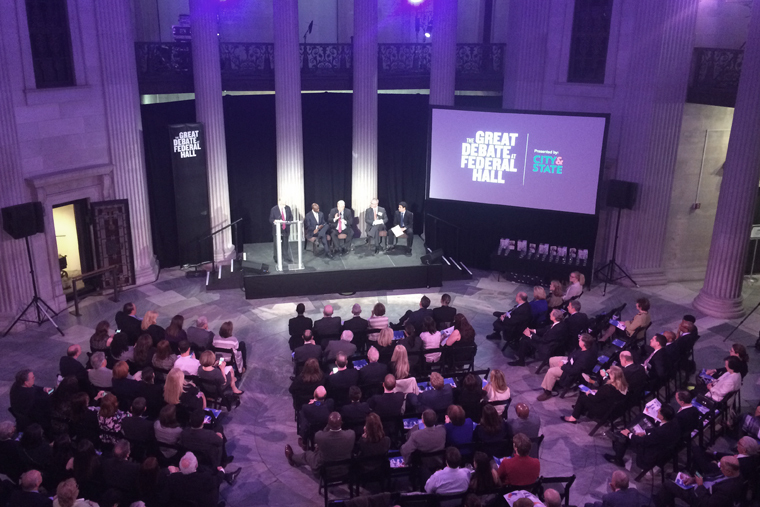 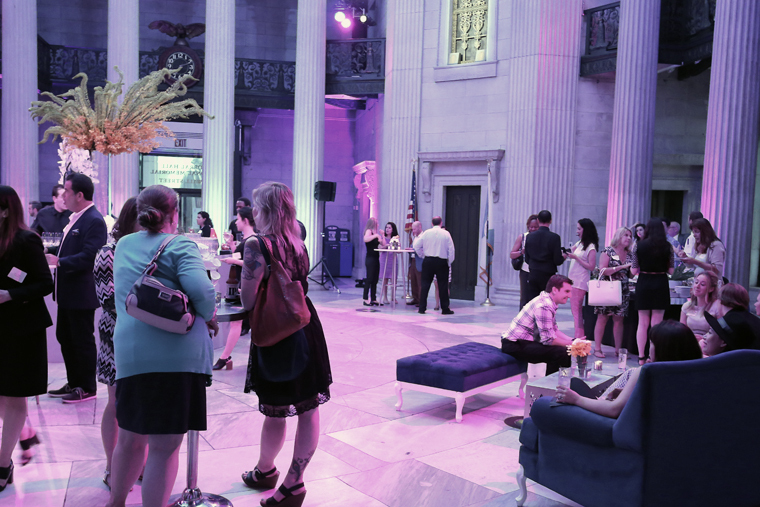 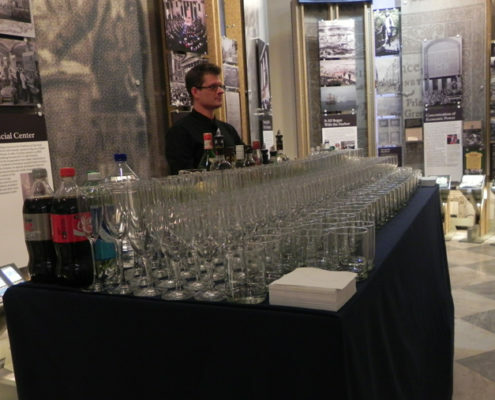 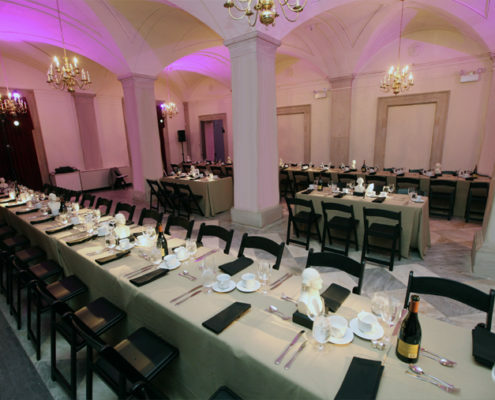 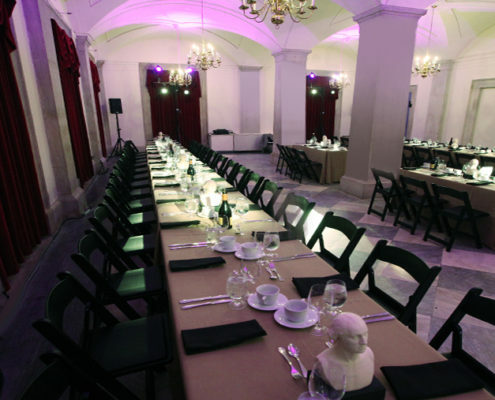 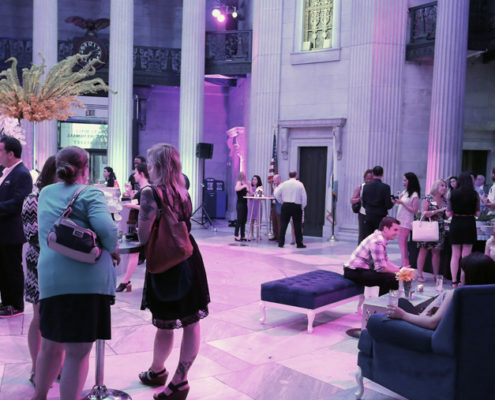 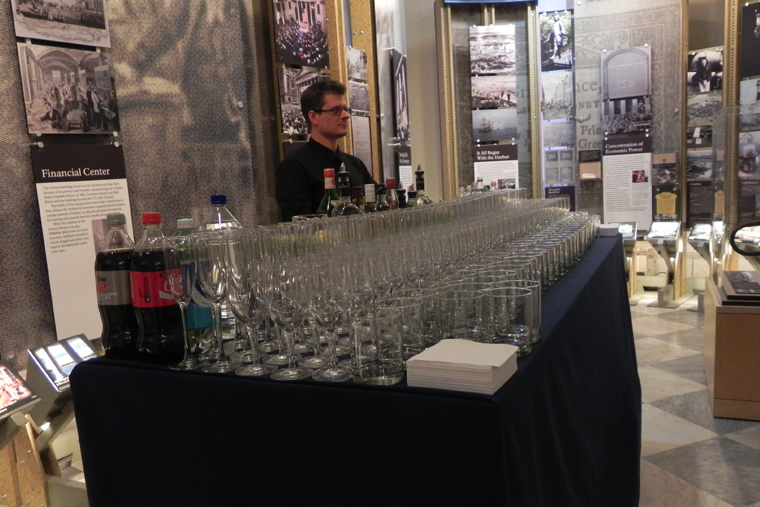 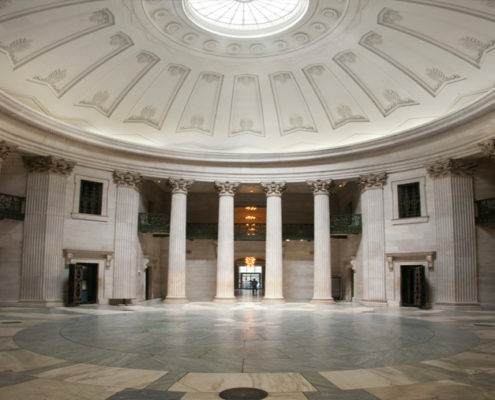 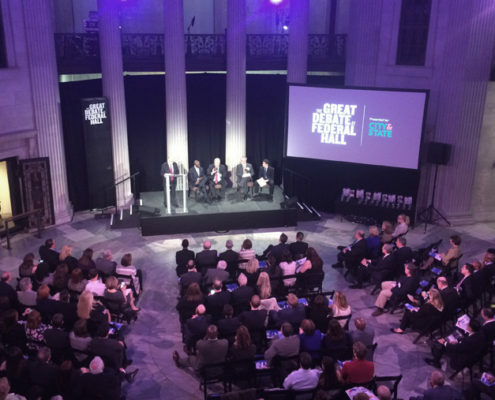 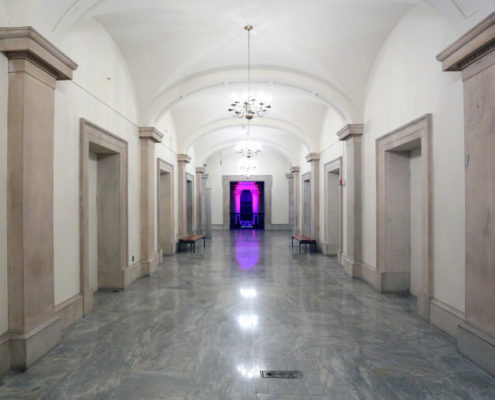 Federal Hall is a memorable and unique setting for your next cocktail party, seated dinner, business meeting, panel discussion, wedding or bar mitzvah. 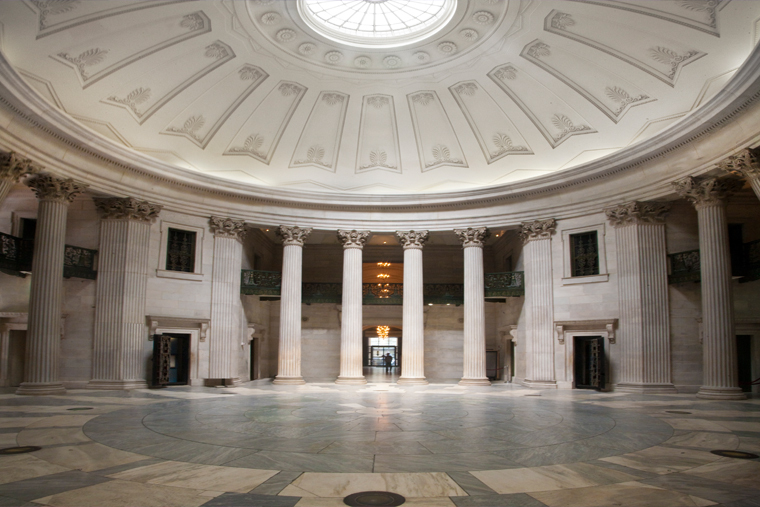 Located on Wall Street, the Greek Revival style national memorial marks the site where George Washington was inaugurated and where the first U.S. Congress invented our democracy. 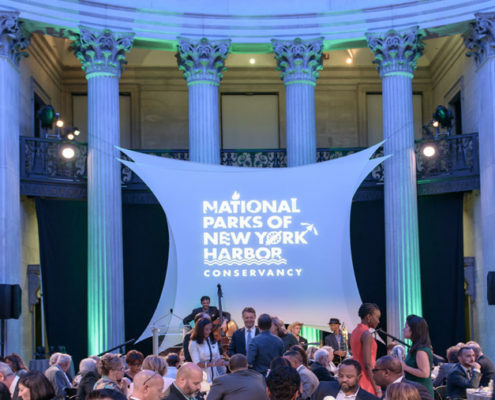 Convenient to all forms of public transportation, as you and your guests enjoy your surroundings, you will be helping to sustain one of America’s important historic sites. 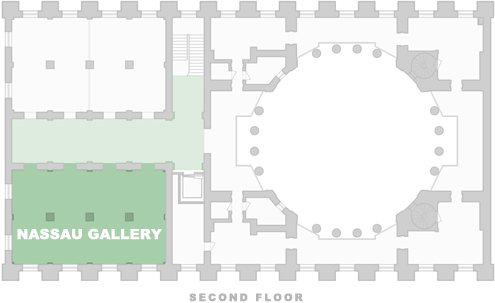 Capacity: 210 seated; 400+ standing. 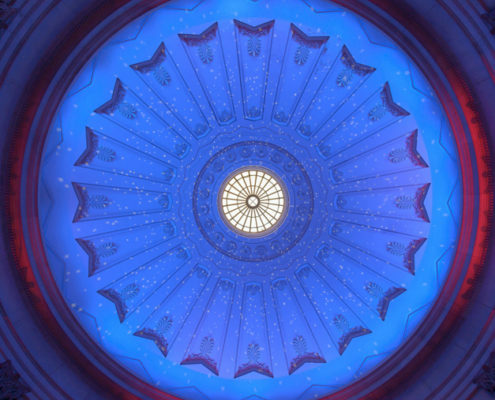 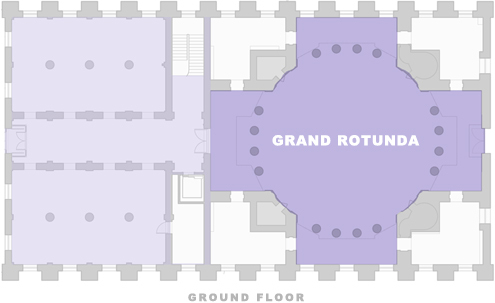 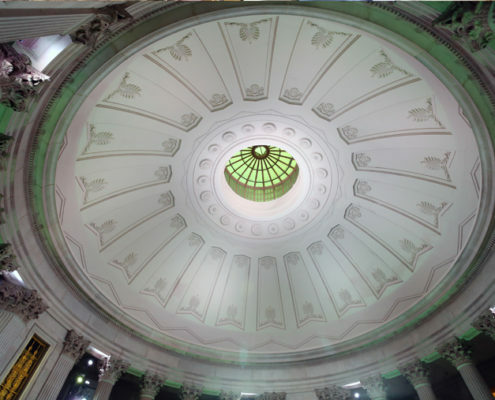 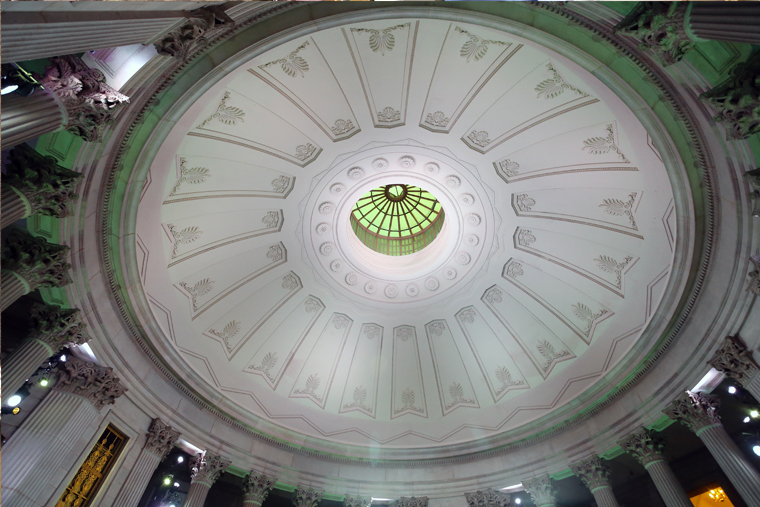 With its saucer dome and Corinthian columns, the Grand Rotunda is a majestic and versatile space that imparts grandeur and distinction to any event. 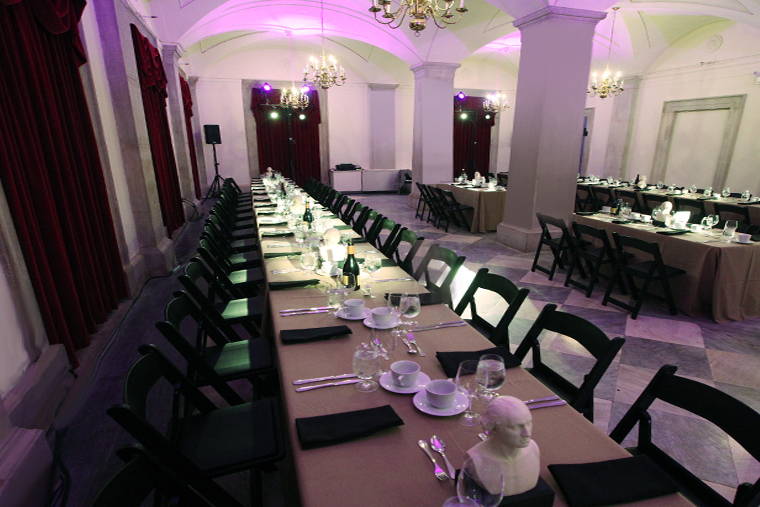 Capacity: 80+ seated; 200 standing. 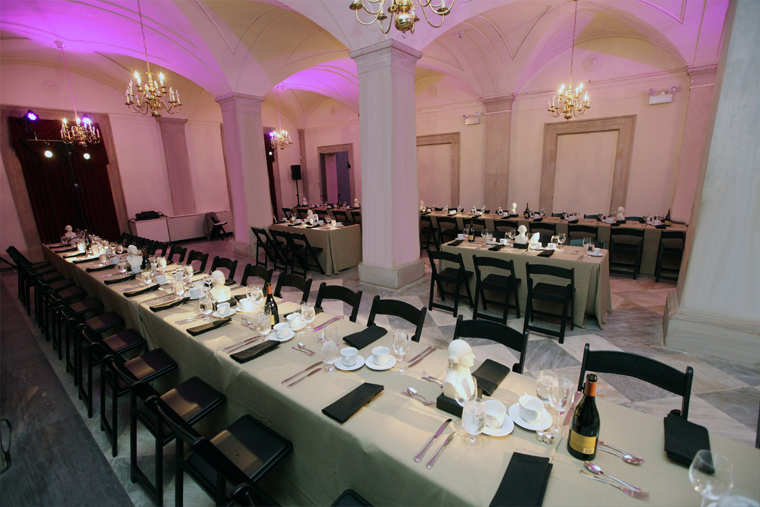 This newly restored gallery with floor to ceiling windows and vaulted ceiling offers an airy setting for business meetings or more intimate gatherings. 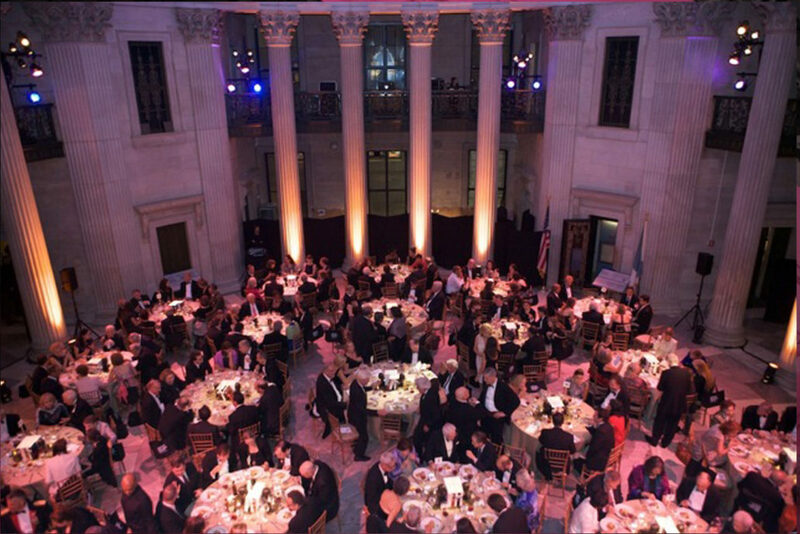 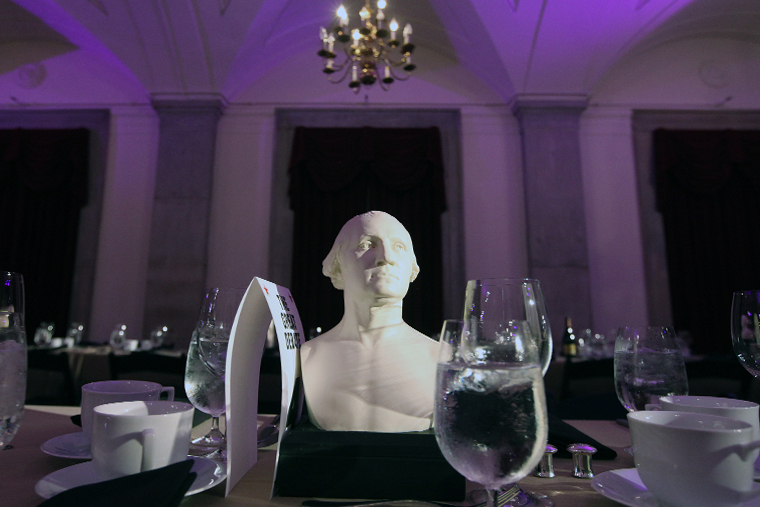 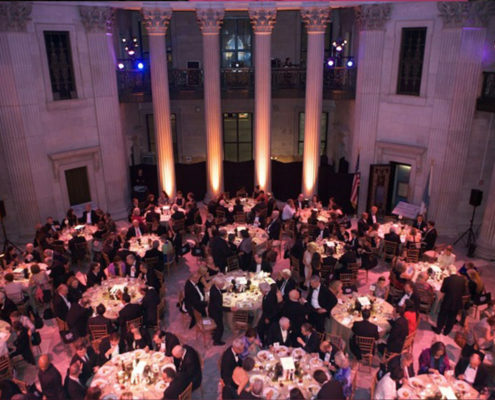 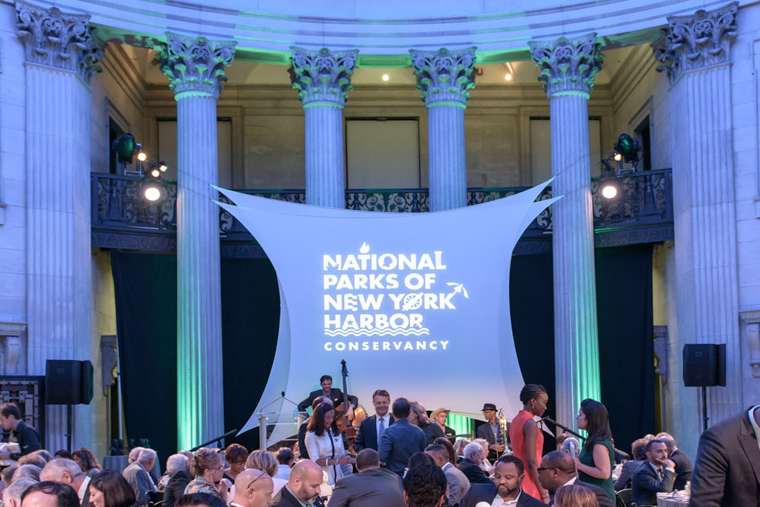 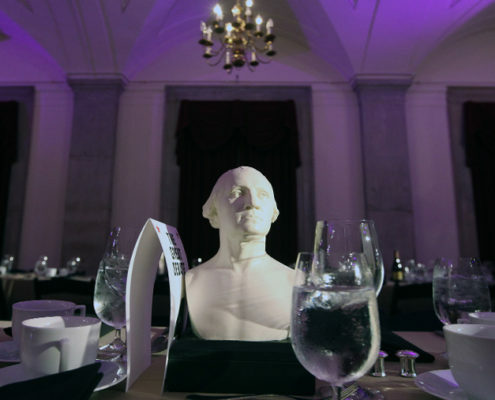 Contact Laura Herrera at 917-656-3748 or lherrera@federalhall.org, or fill in the form, for information, rates and availability.